Daily set lunch at Medifoods, PJ again at MYR 12.74 nett. The "minced meat" used to cook the mapo tofu and long bean taste so real that I could not believe that they are not meat. The texture is the same like real meat? :D Wow...the chef must be really good. I wonder did the cook make it or was it a "fake" meat made by a factory. I sure would love to try that, looks good. 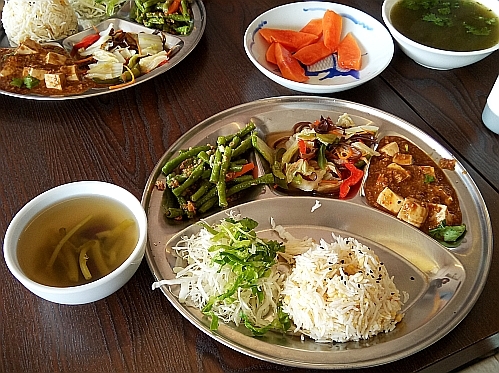 The dishes are like non vegetarian dishes. I just had vegetarian lunch with my SIL yesterday. What did you both order? Yes, you would love this vegetarian meal. I just won't choose to go there!